Diane Keaton and her youngest son splash on the beach in Maui. The Oscar winning actress is on vacation in Maui with her sons Dexter, 15, and Duke, 10. I'm wondering if Diane just happened to be on the same beach as Britney Spears because she usually does a good job of flying under the paparazzi radar. Diane is currently filming for a new HBO dark comedy series called "Tilda". She'll be playing a character who is loosely based on Deadline Hollywood's Nikki Finke. "Inception" star Ellen Page is playing Diane's assistant on the show. Diane's latest film, "Morning Glory", is due in theaters in November. She's starring alongside Harrison Ford and Rachel McAdams. 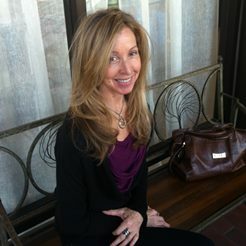 Ann Monroe (aka Maureen Smith) is a Santa Monica based writer and editor who drives her friends and family crazy with her non-stop love for wordsmithing & humor. Her relentless passion for writing, design, research and travel has steered her into many life adventures ranging from writing to winemaking to real estate project development.